I used a random number generator to pick 7 numbers between 1 and 116 (the number of comments - There were a few duplicates and deleted messages, which confused things, but hopefully the randomness of the numbers makes everything okay). The first two on the list win a copy of one of my e-books: Bonnie and Bev (neither left an email, so I hope you both check back here!). The following five get a single pattern of their choice: Wendi, Julianne, momoshari, Little Ol' Liz, and Karine (I'll be sending you all emails, so please check for them). 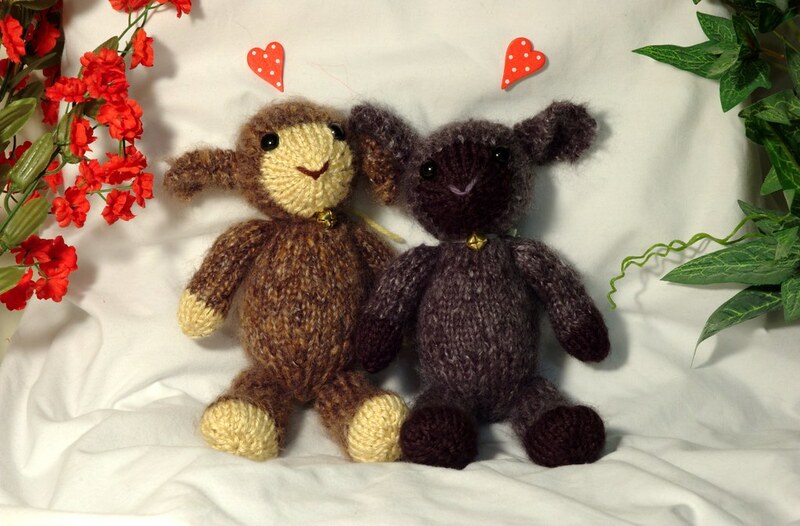 You can have a look at my Ravelry shop, if you're not sure which book or pattern you want. Please send me an email to let me know which pattern you will like, and I'll send you the download link via Ravelry. Thank you so much to everyone who left a comment! I don't think I've ever had so many responses to a give-away, and I did read every one. I can't tell you how much it gladdened my heart to read some of your lovely and generous comments about my blog and patterns. It makes me even happier that I will soon have more time to spend designing and writing for you. I hope all of you have a lovely day, and have a chance to do something you love with someone you care about! Posted by Barbara Prime at 11:38 a.m.
February 14, 2012 at 12:21 p.m.
February 14, 2012 at 1:16 p.m.
February 14, 2012 at 3:09 p.m. Happy Valentine's Day Barbara! Congrats Winners! February 14, 2012 at 4:00 p.m.
February 14, 2012 at 10:40 p.m.
What happy first lambs! And the beginning of a lovely career and art! February 15, 2012 at 12:43 a.m.
Congratulations winners... what a treat for you all! Love these patterns, they have mega child appeal. I must mention that I'm the world's oldest child. February 16, 2012 at 2:55 p.m.
Hi, I mentioned one of your projects on my blog at this url. I hope you don’t mind. March 20, 2012 at 2:43 p.m.